Have you tried one of these and failed? Believe me, you’re not alone. While they work for a very small minority, for the majority they don’t. And, for good reason too. 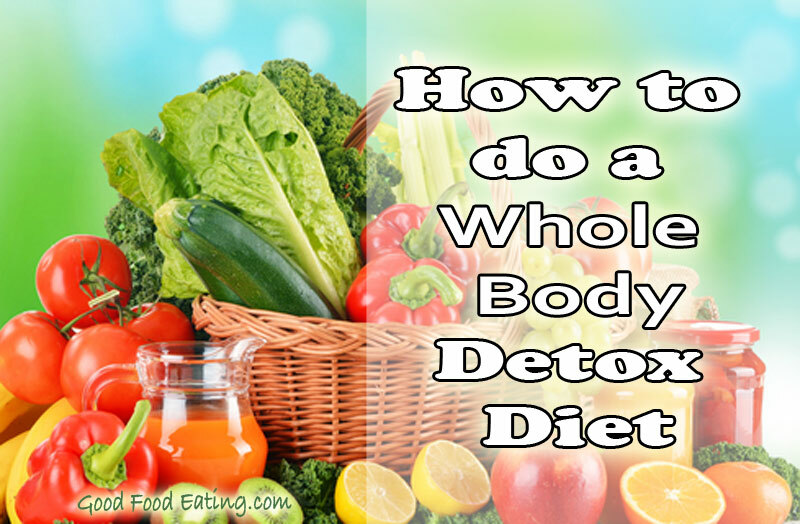 Doing a whole body detox diet doesn’t mean you have to starve yourself to death and live on a liquid diet. Far from it. Sure, to cleanse and detox your body you do need to strip away problematic foods. But you can eat food and detox your whole body at the same time. It all depends on what you eat. Let’s talk about what we’re really trying to achieve when doing a detox, why it’s important to actually eat food when you do a detox. Then I’ll share a simple food list you can work from to get great results. When we detox, one of the main organs we’re working on is the liver – it’s an amazing organ and one of the hardest working organs in our body. Metabolizes the fats, proteins and carbs we eat. 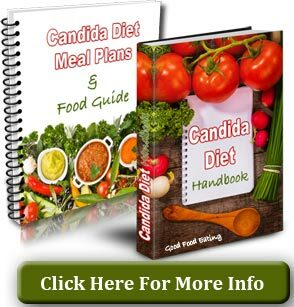 Produces major components of the blood – healthy cells for immunity. Detoxifies everything you eat, drink, rub on your skin, smell, or anything that can get into the bloodstream. Facilitates, absorbs and stores vitamins and iron. Plays a major role in carbohydrate metabolism – in its relationship with insulin and blood sugar control. Stores and releases glucose and produces it – when our liver metabolizes carbohydrate it stores some of it in the liver as glycogen for later use as energy, it also then helps store excess as fat in cells. The liver also produces glucose from protein and fat when the body needs more glucose. Manages fructose intake – the liver is the only organ that can effectively metabolize fructose. Sugar is 50% sucrose- 50% fructose. Many processed foods contain fructose. So the liver can be congested and even develop into a fatty liver in dealing with too much fructose. Helps to balance key hormones – cortisol and insulin. Balances neurotransmitters – serotonin and dopamine – these are the hormones involved with sleep, appetite, and mood. Yep, the liver handles a whole lotta stuff! Then there’s your digestive tract. That’s the other major thing that needs a good clean out and kick start when you’re doing a detox. Imagine standing in the middle of a tennis court. That’s what makes up the surface of your small intestine. Most of the absorption of our nutrients occurs in this space – amazing right?! From the small intestine nutrients get carried to the liver (predominantly) and other parts of the body. Yes, there are probably more than a few things you could work on and we’ll get down to some more diet specifics in just a sec. When people think of a ‘detox’, they generally think of fasting. For example, it’s commonly thought that you shouldn’t eat meat and proteins while detoxing. But this is absolutely NOT true! You MUST eat protein to detox effectively! 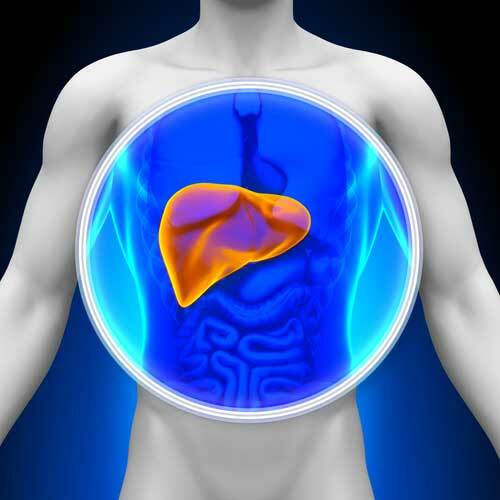 The liver binds toxins to certain amino acids (derived from protein) for removal via bile or urine. You also need protein to maintain lean muscle mass because you don’t want to start eating away at your own muscle tissue. 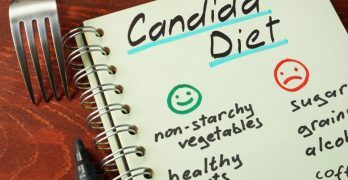 Fasting can also be detrimental to the liver because when it doesn’t get enough nutrients, particularly protein, the many metabolic processes that it is involved in can sloooow right down and impair your ability to detox effectively. In the long run this makes you feel worse not better. So there are many reasons why including good quality food in a healthy whole body detox diet plan is VERY important. It also happens to be easier AND you can stick to it in both the short and long term. So let’s talk about how to do it – what you can eat on a healthy detox plan. Sugar – All types of sugar, including ‘natural’ kinds – honey, maple syrup, and fruit too. Sweet Beverages – This includes sugary beverages and fruit juices even if they are homemade. Refined packaged junk – All junk, packaged, processed foods. Sauces and condiments – most types from a bottle, jar, or can. Dairy products – all types during the detox – it’s one of the most allergenic foods. Alcohol – not one drop allowed (for your detox period), YOU CAN DO IT! Vegetables – there are so many to choose from. Eat a wide variety and include plenty of green leafy vegetables. Quality protein – organic, grass fed beef, or chicken. Free range eggs, fish and seafood. Healthy fats – avocado, olive oil, coconut oil, nut butters, flaxseed oil, walnut oil, coconut cream or milk. 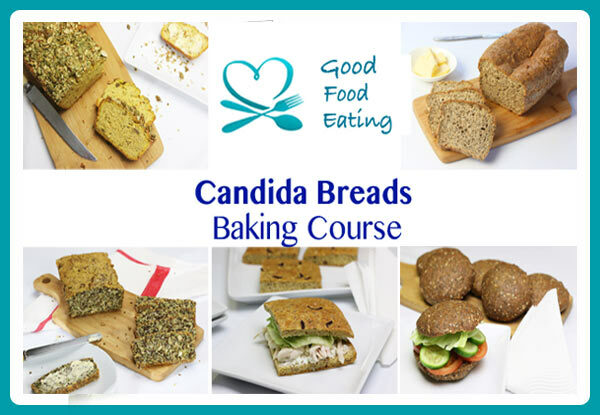 Beans and legumes – freshly prepared from organic dried beans or legumes (optional – in small amounts). Brown rice – Maximum 1 cup a day (optional). Apple cider vinegar – try and get a good quality organic one such as Braggs . Herbs and spices – fresh or dried. Water – fresh filtered and lots of it, 1.5-2 liters a day. Herbal teas – dandelion, peppermint, chamomile, and others. Nuts and seeds – small handful per day. Seaweed – wakame, kelp, nori. This is fairly restrictive, but not so much that you’d feel totally deprived. You’d be providing your body with lots of essential vitamins, minerals and nutrients from all the ‘real whole foods’ you’d be eating. And cutting out all the problematic stuff. I’ve seen people lose up to 10 pounds in a week by following this simple plan. 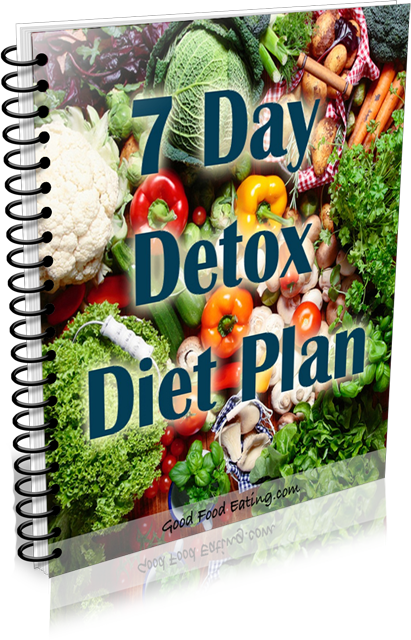 I even wrote a 7 Day Detox Diet Plan that outlines this process even further – including lots of extra detox tips, supplements and a 7 day meal plan. The point is though, don’t go starving yourself or following some crazy ‘diet’ plan. Yet *another* yo-yo diet isn’t going to help you. 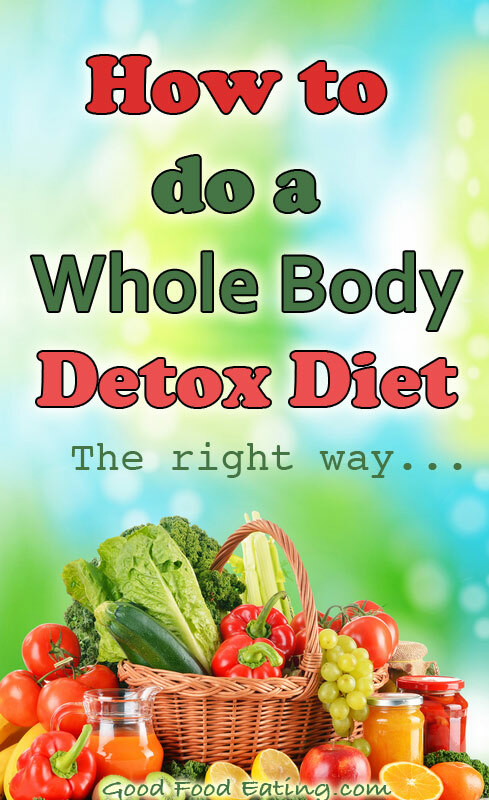 Keep it simple and that’s how you will get great results with a whole body detox diet. P.S. Need Help With Detox Food Ideas & Planning? There’s loads of effective detox tips inside to help make it easier. PLUS tasty recipes and a ready-made meal plan. CLICK HERE to check it out and grab yourself a copy.